A week ago I flew to Budapest for an Ubuntu Engineering Team Rally. This is where we get the Ubuntu Engineers at Canonical and some other groups together for a week to work together, plan future work, have meetings and make progress on our existing commitments. It is in this week that I gather together with the guys on my team and we have the rare privilage of working together from the same office (we all work remotely usually). Daniel Holbach, Jorge Castro, and David Planella were there, and we welcomed Nicholas Skaggs to the team who started his first day at Canonical on the first day of the Rally; a brave man! Unfortunately Michael Hall could not join us, but we had a tablet with his gleaning smiling face beaming into our room on Google+. He was there in spirit, if not physically. 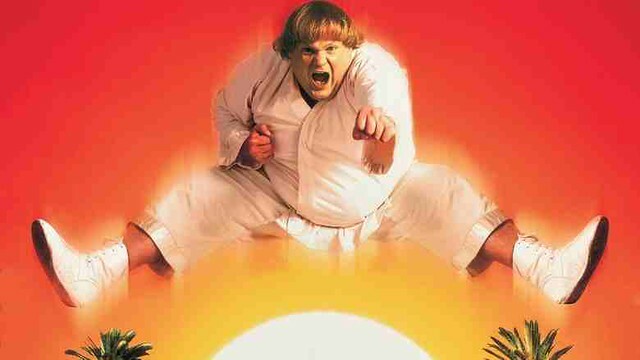 Chris Farley was also there in spirit, if not physically. David, Daniel, and I spent quite some time opening up the ARB process and helping to get things back on track. We now have a flow of lenses coming through and the queue is looking in better shape. Thanks to the ARB for their work here and we will be continuing to build refinements into the process over the coming weeks. Nick got on-boarded at the event and met the QA team (Gema, John-Baptiste, Carlos, Pete etc). We discussed plans around putting in place a manual test case system (we will be piloting Case Conductor). We also centralized QA communication channels (#ubuntu-testing on Freenode) and Nick started cleaning up the documentation for how people participate in Ubuntu QA. I am excited by the progress happening here…more to come soon! Jorge made further progress on the charms front and we planned out a tour of events to run charm schools. Good progress is being made on upstream charm targets and awareness of Juju is growing. David and I discussed next steps for developer.ubuntu.com. Things will be on hold a little in this cycle due to the web team being re-assigned to other work. Instead we are fixing up chunks of developer.ubuntu.com, particularly around publishing apps and reference materials. Daniel (who just got back from an awesome holiday in Morocco) and I synced up on the sponsorship queue which has got a little out of shape recently, so Daniel is re-focusing on that over the coming week as well as building out the developer advisory group and identify prospective developers and providing 1-on-1 guidance to get them through the developer process. Michael is going to be putting in place a patch pilot scheme for the DX team to ensure community merge proposals are getting through in a timely manner. He also coordinated the move from #ayatana to #ubuntu-unity on Freenode. Michael also connected with Jorge regarding the transition of Unity responsibilities and he will be coordinating further relationships with upstreams. The goal here is simple: encourage more participation in Unity development as well as the consumption of our APIs by upstreams. I spent some time with the team on team-related workflow. Everyone is pretty happy with how we are working, are happy with the public IRC meetings and comfortable in how we are tracking our work and moving forward on projects. We discussed raising the awareness of cool things going on in Ubuntu and discussed how we can provide a more representative view of this work across blogs and social media. You can expect more blogging out of our team and other teams. Of course, there were many other things that happened, but these were some of the main ones. Remember you can keep up to date with out work on the burndown chart and in #ubuntu-community-team on Freenode. your recent ideas about unity sound great to me. you might be on to something!………..the 11.10 unity, i have to say, is kind of usable ;)……….shame i can’t get 12.04 to work in my vm……………..